Charline began her massage journey by enrolling at The Cleveland Institute of Medical Massage in 2011. She graduated 2 years later and received her Ohio State medical board license in 2013. After gaining valuable experience while working for various chiropractic and massage therapy practices she was able to branch out and started Essential Kneads Massage Therapy in 2015. Since earning her license, Charline has studied to become a certified Nurturing the Mother Pregnancy Massage Therapist and is trained in pregnancy, labor, postpartum, and newborn/infant massage. She then received her Bare Foot Masters certification and practices Ashiatsu Bar Therapy as well as Fijian massage. Additionally, Charline specializes in swedish massage, deep tissue, trigger point therapy, hot stone therapy, thermal therapies, sports massage, IASTM technique using Rock Blades and cupping, as well as techniques used for relieving headaches, sinus issues, and TMJD. After spending nearly 10 years in the accounting/finance field, Charline decided it was time to follow her heart and her hands. Having learned first hand how effective massage can be in the healing of her own injuries she fell in love with the power of touch. She is thankful everyday and couldn't be happier to have been able to pursue her passion and dream of being a massage therapist. Kim is a graduate of Ohio College of Massotherapy and has been a Licensed Massage Therapist for over 10 years. She specializes in Swedish Massage and Therapeutic techniques including; Deep Tissue, Sports Massage, and Trigger Point Therapy. Jennah graduated at the top of her class in the Massage Therapy program from Hocking College in December 2013. Initially attending college for Physical Therapy Assisting, Jennah didn’t transfer to the massage therapy program until she asked a physical therapist what secondary degree they would want their PTA’s to have. The answer: Massage Therapy. She didn’t realize that she had spent much of her life giving massages to fellow athletes in high school before events and family members to relax until after she began classes. She was a natural and intuitive in listening to soft tissue response in her clinicals. Jennah was blessed to have a knowledgeable professor who was also a Chiropractor. Learning the best of both worlds, her in-depth training includes Deep Tissue, Craniosacral Therapy, Myofascial Release, Trigger Point Therapy, Aromatherapy, Hot Stone Therapy, Ashiatsu, Prenatal Massage, and Foot Bath Detoxification. She also incorporates IASTM methods of treatment with blading and cupping. She plans to continue her education in Reflexology and Reiki. The power of touch and positive energy are things Jennah takes seriously as a licensed massage therapist and also as a mother of three daughters. She knows how important it is to release stress and understands when clients need a listening ear, a person to talk to, or just some peace and quiet during their session. Healing and improvement are always a top priority. Brittany graduated from Ohio College of Massotherapy in October of 2015. Brittany formerly attended college to pursue a career in the fitness industry when she took a leap of faith and moved an hour from home to attend school for Massotherapy. During her schooling, she made the Dean's List each semester and graduated in the top of her class. In addition to meeting new people, she most enjoys educating others; especially on how massage can help their bodies. Of course, most people know their own body best, but that doesn't mean we always listen to them. Brittany feels communication is the key to understanding an individual's body as well as why and how massage can and will help. 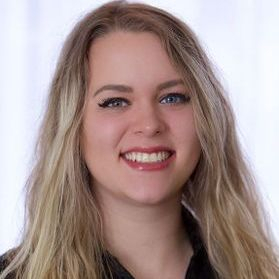 Brittany specializes in Swedish Massage as well as Therapeutic Massage; including Prenatal Massage, Sports Massage, Deep Tissue, Muscle Energy Technique, Abdominal Massage, Chair Massage, Thermal Therapy, and Aromatherapy. She has also mastered the use of therapy tools such as hot and/or cold stones, Cupping, and Rock Blades to achieve the best results during therapeutic sessions. In addition to massage, she offers Face Treatments, Foot Treatments, and Foot Bath Detoxification. Brittany is also a Thai Massage Therapist and is very excited to introduce anyone and everyone interested in experiencing this unique, but increasingly popular, form of body work. 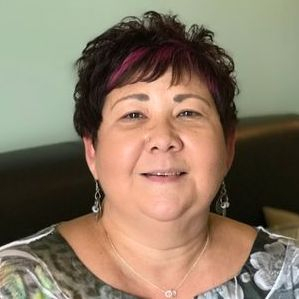 Michele graduated from the Medical Massage Therapy program at Cuyahoga Community College and received her license in 2017 with over 850 hours of education. She enjoys meeting new people and is passionate about health, wellness, and how the benefits of massage therapy can help the community. She wants to assist people in finding relief from different injuries and other various issues. Michele specializes in Therapeutic Techniques including; Deep Tissue, Myofascial Release Therapy, Trigger Point Therapy, Positional Release Technique, Muscle Energy Technique, Cupping/Blading, as well as Orthopedic Assessment, Swedish Massage, Pregnancy Massage, Hot Stone Therapy, Facial Treatments, and Chair Massage. In addition to those specialties, Michele will soon be trained in Sports Massage, Ashiatsu, Aromatherapy, and IASTM by RockTape. Michele is also a DoTERRA Wellness Advocate and would be eager to assist anyone using her skill set in massage therapy as well as her training from DoTERRA. Erin graduated from the Cleveland Institute of Medical Massage in November 2014, and started practicing in February 2015. Since graduation, Erin has taken continued education courses in Sports Massage, Trigger Point Therapy, Myofascial Release, Cranial-Sacral Therapy, Deep Tissue, Aromatherapy, Hot Stone Massage, Pregnancy Massage, Reflexology and Assisted Stretching. 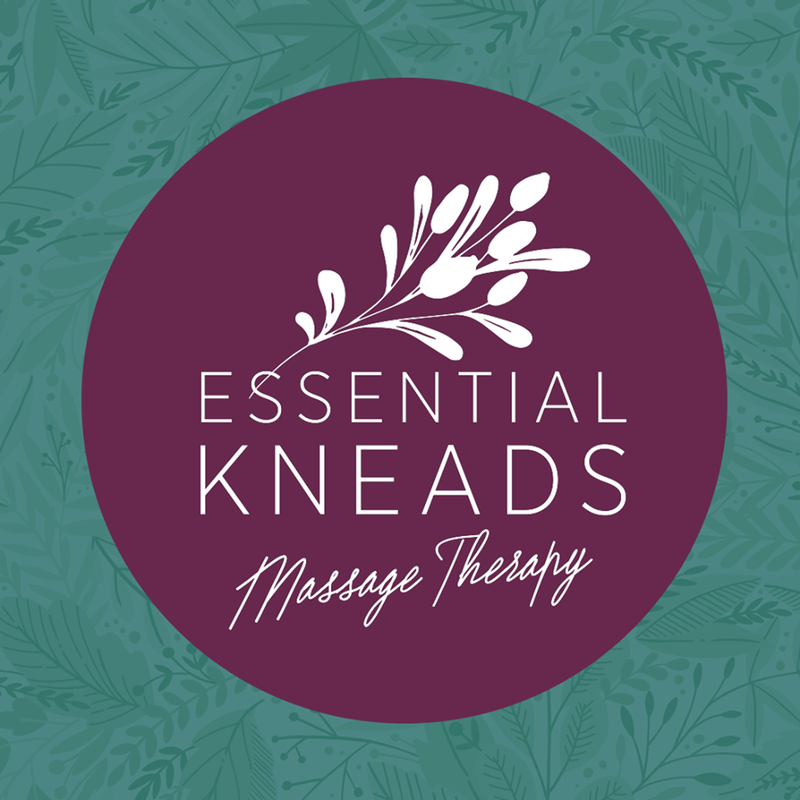 Erin originally started at Essential Kneads Massage Therapy in September of 2015. In February 2017, Erin moved to be with her husband who was stationed in Tennessee. The Army is now calling them to Germany, but while her husband is away transitioning and training she will be returning to Ohio and Essential Kneads Massage Therapy. Erin is also a Certified Equine & Canine Massage Therapist. Christine is passionate about helping and healing others. Suffering from Fibromyalgia she understands pain and hopes to assist other with similar ailments. After many years of curiosity, she enrolled in the JVS esthetics program in 2017 and graduated in 2018. She is now ready and able to pursue her dream career. Christine feels that this is what she was meant to do. Christine specializes in skin analysis, skin care products, basic facials, prescriptive facials, extractions, facial massage, arm and hand massages, shoulder and neck massages, body scrubs and wraps, face and body hair removal, use of electrical equipment for treatments, application of skin peels and exfoliants, as well as professional and corrective make-up application. Emily received her Reiki Master certification in October of 2016 while pregnant with her son. She has a wide range of knowledge in holistic and metaphysical modalities and integrates them into her practice. Emily incorporates the use of healing crystals, diffusing essential oils, and offers an intuitive approach making sure the session that each client receives is personalized to fit their particular needs. Energy healing is a passion of hers because she always strives to help people; and energetic well-being is an often overlooked aspect of a person’s overall health. Being an RMT, Emily has the ability to perform Reiki on clients as well as teach it to others. Additionally, Emily is working to have a certification in Reflexology by Spring of 2019 and will soon be trained in Foot Bath Detoxification. You understand my concerns and needs and address them works out good every time thanks! I always get great service and a fantastic massage !!! Very professional, felt very comfortable, and I also felt very relieved and less tense afterwards which is exactly what I wanted! Definitely would recommend and I’ll certainly be going again! Brittany is a tremendously talented massage therapist. I went in with a killer headache and lots of tension. When I left, I was pain-free, relaxed, and in a completely better place. This is an outstanding studio! I feel great today! Michelle was able to really address my knots and ease the pain I was having. Wonderful experience. Definitely will be back! After waking up with headaches every morning for a long time, I decided to try massage therapy. Today is the first day that I haven't had to take any pain medicine with my coffee. Thanks, Jenna! -Ginger C.
I took my daughter to Michelle because of her lower back pain/achy. She did a wonderful job and my daughter felt so much better. Also, my daughter is on a HS Swim Team and Michelle did some stretching on her which also helped tremendously!! My husband bought me a gift certificate for a relaxation massage and this was my first professional massage. I had Jennah who done an amazing job. I came out feeling refreshed. I already have scheduled my next appointment and plan to keep rescheduling. It’s a great business! A special thank you to David Paul Photography for the amazing photos!